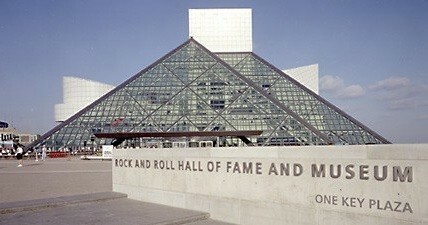 Cleveland is, of course, home to the Rock and Roll Hall of Fame. It made sense then, to Clevelanders at least, that the induction ceremony take place in Cleveland. So when news came that the city would host it every third year, rotating with LA and New York, that was good news, but still not enough. Right? The induction ceremony will be in Cleveland every other year beginning in 2018. In an interview with Den of Geek, CEO Joel Peresman casually broke the news while making an interesting comment on why that setup is now possible. 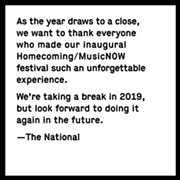 Namely, that it's an incredibly expensive venture and a huge fundraising event for the Rock Hall and Northeast Ohio, at least in the near past, wouldn't have been able to provide the sort of financial backing needed. I’m from Brooklyn, so this is not a complaint, but why do you host the ceremony in Brooklyn when the hall is actually based in Cleveland? Part of it is historical, the foundation started well before there was a museum in Cleveland. They started doing these shows at the Waldorf Astoria, 31 years ago, before there was an idea of where a museum should be. Part of it has to do with raising money. 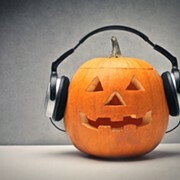 One of the things we do, like most foundations, especially ones connected to a cultural institution like the Rock and Roll Hall of Fame, is to raise money. To raise money in New York, as Willie Sutton said when people asked him why he robbed banks, that’s where the money is. In the early days, all the record companies were very supportive of the Rock and Roll Hall of Fame and they were the ones who were buying tickets and buying tables to raise money that goes into the foundation that we, in turn, use to fund projects at the museum, whether it’s educational programs or exhibits. We’re just about to begin a major redesign of the museum to upgrade the visitor experience over the next two or three years. We’re funding that to the tune of millions of dollars that we’ve raised. One of the other things, in Cleveland, they really just came around in the past few years to being able to afford to do the fundraising they need to do for an event of this size. We’ve done it in Cleveland a few times. We’ll be back in Brooklyn next year. After that, we’ll flip every other year between New York and Cleveland. The Rock Hall offered a prepared statement from President and Chief Executive Officer Greg Harris. "This is a direct result of the momentum of the Rock Hall, the success of the ceremonies here and the support from the greater Cleveland community," says Harris. "Induction Week in Cleveland is a proven winner. The 2009 Inductions were the first time the event was open to the public, 2012 was the first time it was broadcast on HBO and 2015 brought Paul McCartney, Ringo Starr, Stevie Wonder, Green Day, Joan Jett and Miley Cyrus to the same stage. That has a direct impact on the Community in terms of economic impact for the region and growth of the Museum. Our mission to engage, teach and inspire fans and artists through the power of rock and roll has generated hard, tangible results and those results and confidence of the community has led to our commitment to bring the Inductions to Cleveland every other year. We’ll share more information as 2018 draws closer." David Gilbert, President & CEO of the Greater Cleveland Sports Commission and Destination Cleveland, was equally ecstatic about the announcement, even though it'll undoubtedly prove challenging to raise the funds to cover production expenditures. "Increasing the frequency to host the Rock and Roll Hall of Fame Induction Ceremony is extremely beneficial because the event means more to this city than just a one star-studded evening of red carpets and live musical performances," he says. 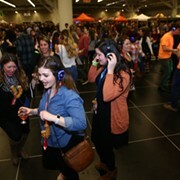 "The Inductions are a unique, one-of-a-kind event that creates a weeklong opportunity to showcase Cleveland as an incredible rock and roll destination, generate incremental business for the tourism and hospitality industry and, most importantly, show tens of thousands of visitors that Cleveland is one of the most welcoming cities in the world. As we have done in the past, Destination Cleveland will absolutely continue to support the event."